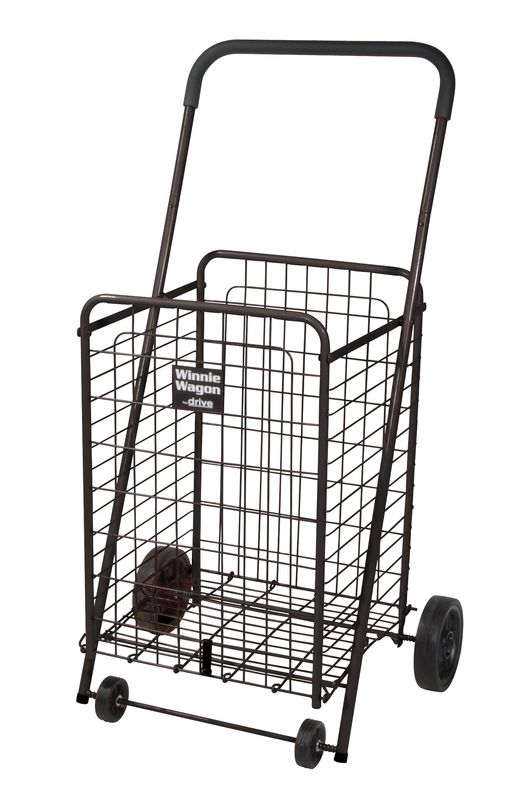 Can Make Every Outing Care Free and Convenient Drive Medical's Black Winnie Wagon All Purpose Shopping Utility Cart is commonly referred to as the handy little travel companion that could. This sturdy and robust yet light weight and easy to handle carrying cart has been designed for a wide variety of tasks that help promote increased mobility independence and good health. This makes it an aid that can help transform any and all of your outside excursions whether for business or pleasure into trips that are convenient stress free and easy to manage.Developed with your needs squarely in mind the Winnie Wagon All Purpose Shopping Utility Cart makes it easier for you to transport your groceries laundry and other personal items from one location to the next giving you a measure of independence and confidence that might not otherwise be available to you.If that wasn't enough the Winnie Wagon also folds up easily making storage simple and easy. At the end of the day this handy little helper is a companion you won't want to leave home without. Go ahead...Experience the Drive Difference Now!